If you’re not using two monitors on your PC [home/work] or your laptop at work your being short changed. Not only that your company is being short changed on productivity. If you think about how much time you spend switching between windows of information on a daily basis, you’ll realize that your doing this a lot. And to have to switch the frames or information and flip back and forward constantly, you’ll realize this is such a waste of time. 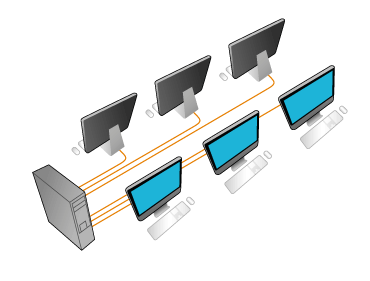 By using another monitor static information can remain on the screen and allow you to move faster in processing information. I mean you can move your eyes much faster than you can click and move a mouse. The good news is there’s hope. The prices of LCD monitors are really coming down. Where adding a second monitor is a real possibility. Yes, they’ll take a bit more desk space, but’ll be worth it. If you want to be productive, you’ll do it. After you change you’ll wonder how you ever did it with just one. Well most PC’s have a video card or video ability built in to the motherboard of the system you’ve got. 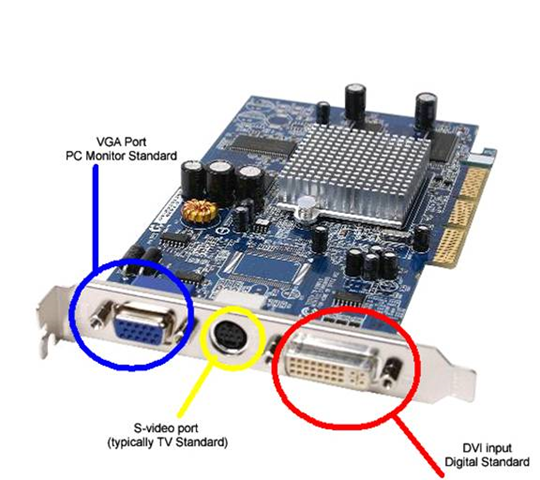 So what your going to be looking for is another video output; this can be HDMI, DVI or VGA [standard]. 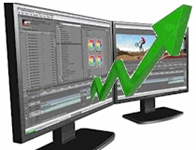 Higher end video cards will have a HDMI output- these produce some really great video output pictures on the LCD monitor [taking full advantage of the monitors abilities]. If you don’t have another video output just laying around, run out and grab a video card and install it. If you can use a screw driver, you can install the video card. Once you do this the system is going to need to be told [most likely] which video output is the primary cause it’s going to detect both video devices. You’ll do this via the BIO’s of the system. Typically, you’ll reboot the system and press ESC or F2 [or something like that]. You’ll be looking for the ‘integrated peripherals’ most likely, something that is asking you which device is primary video. If can’t find one of these, the system will pick a video card to be default automatically [without you]. When booting back in to the Operating System the video card will be detected; load the drivers for the card and your almost ready to rock [productively speaking].